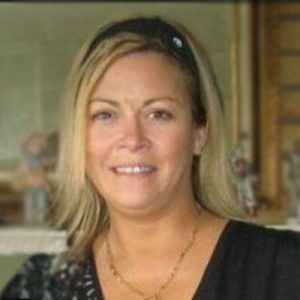 Patricia passed away March 25, 2019 at the age of 51 in Kelowna, BC. She was born in Foam Lake, SK on July 6, 1967 into a family of 8 siblings, was raised in Foam Lake and Tuffnell, SK, completing her grade 12 in 1985 in Foam Lake. After graduation, she ventured to Saskatoon and attended secretarial school. Because she was blessed with height and beautiful looks, she took up modeling, which took her to Japan in 1989 with a group of girls calling themselves “Charlie’s Angels.” Patricia also did a music video with the Johner Brothers in 1993, “Starting Right Now,” which she was very proud of. After returning from Japan, she had met Dave Stromberg and was blessed with three beautiful children: Chase and twins Sky and Zak who were the love of her life. Through the years, she was also the owner of her pride and joy establishment, “The Viking Club.” Patricia operated the Viking Club for many years where she met many good friends. She was always the life of the party; your beverages were always full, and you could always hear one of her favorites as you walked through the door—AC/CD, Stiff Upper Lip album. It was the hot spot in Saskatoon, SK. Patricia had a special bond with her twin sister Melissa; she always knew she could come to her in the good times and bad. Patricia was also very proud to be a godmother to Christopher, Kristea and Meg to whom she always offered knowledge and guidance. Patricia is survived by her husband Kenny; her children Chase (Jayden Krieger), Sky and Zak; her mother Betty Fedak; her father and mother-in-law Victor and Yvette Ukrainetz; her brother Mark (Joan) Fedak and their children Amy and Max; her sister Marianne (Laverne) Hannotte and their children Matisson, Matana and Lucia; her sister Carla (Brad) Shrader and their children Christopher (Kristine) (their children Natasha and CJ), Brandon (Brittany) and Brittany; her sister Nancy (John) Zuchkan and their children Nicole (Korby) Koshman with children Taylor and Jase; Jordan and Nathan; her sister Melissa (Kelly) Maksimow and their daughters Elle, Meg and Bess; her sister Marcella (Tim LaFournaise) and their daughter Kristea (Derek); and her brother Jeremy (Debbie) Fedak and their children Garrett (Presley), Brenna, Kaden and Matteo; her brother-in-law Barry (Debbie) Ukrainetz and numerous uncles, aunties and cousins. She was predeceased by her father Walter Fedak, her grandparents and numerous cats. On behalf of Kenny, Chase, Sky, Zak and the rest of her family, we would like to thank you all for the phone calls, cards, flowers and Facebook messages. It is amazing how many hearts Patricia had touched. The service for UKRAINETZ (nee Fedak), Patricia Maureen is scheduled for Saturday, April 20 at 2:00 pm . Below you will find the map for the service location and the contact information should you have any questions. Kenny and family, my sincere condolences to you on the loss of Patricia. I only had the pleasure of meeting her once but could tell she was a beautiful soul. Her love will live on in all of you. Kenny, our sincere condolences on losing someone as special as Patricia. My deepest sympathy to Kenny and family. I am so sorry for this great loss. I am keeping you in my thoughts and prayers, that God will comfort you, giving you strength to get through this and leaving you with peace. Patricia was a special cousin and will be remembered with fond memories. So sorry to hear of Patricia’s passing. I used to visit the Viking Clug frequently. She was a beautiful person. She will be missed. Sending much love to all…..